Great book! Very Inspirational! It was nice that he read it himself, definitely made the book more personal. The book is written in a relatable and captivating matter. I found Charlemagne's perspective to be very insightful. This book is a great book for both men and women, teen boys and teen girls! Very encouraging and will help those who may be in similar situations to grow. The only think I didn’t like about the book was all the cruse words. Very good book otherwise! Great book i have encouraged all the young men in my life to listen! 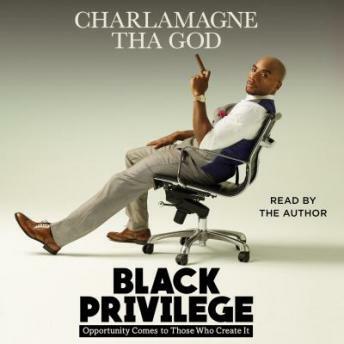 loved this book and I loved that Charlamagne narrated!! Absolutely loved this book, so inspiring!